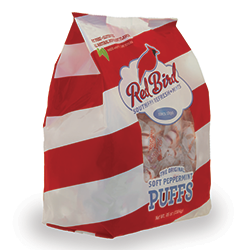 Roping pre-stretched film provides an economical and efficient method to wrap organic products without limiting load stability. Unitizing pallet loads of product using stretch wrapping film and equipment has proven to be the most efficient and cost-effective way to ensure that product arrives at its destination in the same physical condition and stable configuration as when it left the shipper’s facility. 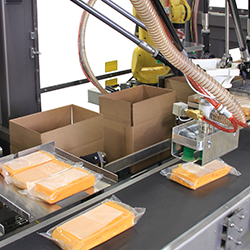 Stretch wrapping of pallets has become standard practice across many industries, including the shipment of food products to grocery retailers. Secure pallet load unitizing is most often achieved by stretch wrapping a pallet load in pre-stretched film, providing not only unit strength but also protection from the elements during transportation. Most high performance stretch wrapping machines use a powered pre-stretch film carriage that elongates stretch film prior to applying it to the load. This gives the stretch film the ability to exert a tightening force on the load as it tries to return to its original state. This stabilizes the load while also protecting it from the environment and providing tamper-evidence. In most applications, the film is applied as a full web of film on all four sides of the load, sealing the load. Organic products such as fresh-picked fruits and vegetables, however, need to breathe and vent naturally-occurring gases during storage and transportation to preserve their fresh appearance, prevent decay and limit product shriveling and weight loss. 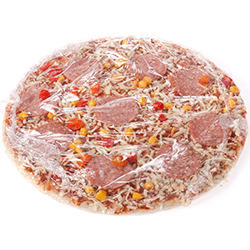 Products are commonly packed in vented cases and/or trays to facilitate air flow. Full wrapping of pallet loads of these products with stretch film prevents the free flow of air through the load that lets this breathing take place. Alternatives to full wrapping that have been developed include mesh (commonly called netting), vented film and roped pre-stretched film, each providing varying degrees of breathability and load stability. Of these choices, only roped stretch film provides the combined benefits of optimum load security and significant cost savings in addition to breathability. Fresh products lose their value quickly as their fresh appearance and quality decline, making breathable wrapping of pallet loads to help slow that decline a profitable investment. The farther the load must travel, the more important breathability becomes. Of the various alternative ways to provide breathability, the most practical is by precisely roping the stretch film as it exits the film carriage of the stretch wrapper. This creates an extremely strong and elastic band of film that, when wrapped around the load, creates breathing spaces in the wrap while maintaining load stability. Roping provides cost-effective open airflow through the load while maintaining and often increasing the load stability. Roping the film also increases the overall strength of the stretch film, which can lead to fewer film breaks and an increase in productivity. Alternative methods of allowing a pallet load to breathe include the use of either netting or perforated film. Netting, an openwork stretch net of plastic similar in overall dimensions to a full wrap film, provides the benefit of free airflow. Most Netting does not have the ability to pre stretch as much as conventional machine grade stretch wrap film does. Netting is usually applied tightly (using post-stretch/core brake carriages) to secure loads. Using a core brake style carriage to wrap loads will cause the operator to use a considerably larger amount of film. Using post-stretch instead of pre-stretch will also dramatically affect the overall load integrity. Another significant drawback with netting is that, when removed from a load, it tends to contract into balls and blow around the area, potentially becoming entangled with lift truck wheels and causing costly damage by getting caught up in wheel bearings. Perforated polyethylene stretch film also provides both the tension of pre-stretched film and easy airflow through perforations cut or punched into the film. These perforations do not usually affect the stretchability of the film, but may––depending on perforation size––reduce the holding power of the film, requiring either more film use or a heavier gauge film. Because perforations comprise only a percentage of the film width, the level of breathability for perforated films is not as high as with roped film that provides more open space for airflow. The combination of increased film use, handling and recycling handling challenges and potential loss due to lowered airflow of netting and perforated film can result in a total cost of wrapping significantly more than the cost of comparable standard stretch wrapping film, due primarily to the added operations needed to produce them. On a cost-per-load basis, netting (which cannot be stretched) and perforated film (which can be stretched) can cost almost four times as much as roped regular pre-stretched wrap film. A less common alternative is the use of pallet wrapping, applying a clear stretch tape in a pattern that secures a pallet load while allowing airflow through it. The clear 1½-inch tape alternative does not offer the elasticity of pre-stretched film to exert comparable holding pressure on the load, and the volume of tape required for a load tends to drive up cost. The technique of roping standard wrapping film has been found to provide superior airflow and load stability to loads while avoiding the potential higher total cost of wrapping with the specialty films and/or tape. Roping standard film also further lowers total wrapping cost by allowing use of lighter gauge film than that needed for standard pallet wrapping and by enabling packers to standardize their film inventory. To provide greater holding power for unusually heavy loads such as concrete blocks or bricks. Generally, roping produces pallet load stability equal to that of a full wrap, except in cases where the load consists of a large number of smaller cartons or items where the rope may only touch a fraction of the surface of the load. There are several ways to create a rope from a full web of pre-stretched film, each involving a different application setup. The most common method uses rollers at the top and bottom of the film web that can be positioned to push up and down against the web from their positions. This narrowing can range from a few inches at either edge to maximum reduction to a true rope of film, as the user requires, with increasing narrowing increasing strength and tear resistance. The rollers can be adjusted and locked in place by hand, resulting in the film being roped at the same rate throughout wrapping, or they can be cylinder-activated and programmed to adjust between roping and full wrapping mode in the course of the wrap. 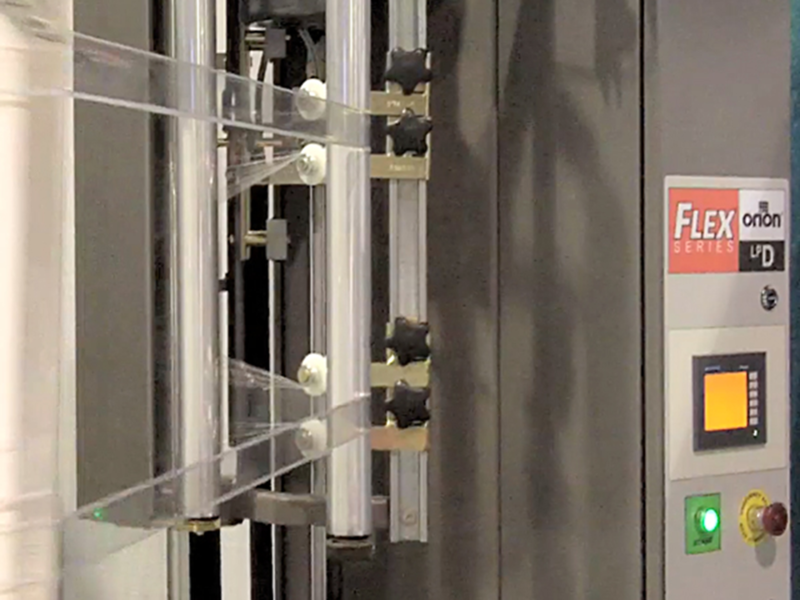 This programmed method allows the wrapper to be used for either roping or full wrap, as needed. A second method uses either two or three separate rolls of narrower film, or a blade on the film carriage that cuts the full film web into narrower webs as it passes, which are then roped. These multiple narrowed ropes usually (depending on the pallet load) deliver more effective breathability. This method usually requires a dedicated film carriage setup. In most cases, roping is applied in the same pattern as a full wrap would be for the particular load. However, unique, need-specific applications are also possible, such as that used by a major produce grower in which roping is applied to create breathability but also in an X-pattern to create added downward pressure on the load in order to better secure the cases to the pallet. The grower ships many loads over long distances and needs to prevent load bouncing during transportation. In this case, two ten-inch rolls of film on a dedicated carriage are used to rope in a pattern to maximize both breathability and stability. Roping can be done by most automatic and semiautomatic wrappers and with a wide range of film gauges, though because the procedure increases the holding power of the film, it is usually possible to downgauge and achieve comparable load results while reducing film cost. 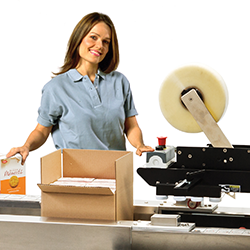 It is a cost-effective option offered on many of the stretch wrapping machines from Orion Packaging Systems of Minnesota. Where breathability is essential to protecting load value, roping is the preferred method over the alternatives, because it combines maximum breathability with ease of application and removal as well as lowering total pallet load wrapping cost.